Robert "Uncle Bob" Martin is one of the 17 software development visionaries who met at The Lodge at Snowbird ski resort in Utah in February 2001 to discuss the various lightweight development methods of the time. The result of that meeting would become known as the Agile Manifesto. Ironically, the Agile Manifesto, which values welcoming and responding to change, seems to be the only thing in the software development industry that has not changed at all since the time of its inception. And even if it needed to be updated, there’s nothing built into the Agile Manifesto that would allow it to be changed. Is the Agile Manifesto the most un-agile thing about agile software development? Or could it be that its concepts are so timeless that it remains as agile as ever, with no need for changes? 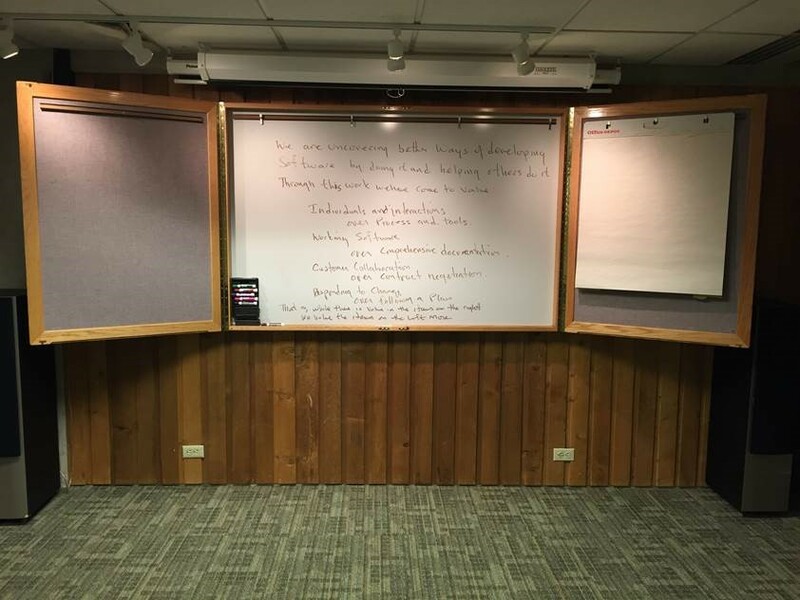 I asked Bob to shed some light on what really happened during the meeting at Snowbird, how he views the legacy of the Manifesto fifteen years later, and the future of software development in general. The following article is based on our discussion. The meeting started with a very brief call to action, namely to write a manifesto, although no one knew what it would look like, or whether it would be a large or small document. The most disagreement was over what to call it. The name of the meeting itself was “Lightweight Methods Summit,” but no one liked the term “lightweight.” After proposing and discussing a number of alternatives, they used a show of hands to adopt Jim Highsmith’s suggestion of “agile.” This was the only actual vote of the meeting. The Manifesto itself came into being in the first day of the meeting. On the second day, the group expanded the scope to include a set of 12 principles, which were negotiated by email afterwards, a process that apparently took several months. The attendees had few expectations following the meeting. They thought that some people would read the Manifesto, and perhaps a few articles would be published, but it would fade away, just like many other movements in software. But reality was very different. “It was wildly in excess of anything I expected,” said Bob. “The adoption curve continues to grow at a very fast pace, with more and more people doing agile.” Almost everyone in the IT community has been involved in at least some kind of agile pilot, and the adoption rate continues to increase. Bob predicts that the growth curve will continue to the point where everyone will be doing it, although it’ll takes 20 to 30 years. We’re not there yet. That said, today’s agile is not the same agile that was discussed at the meeting. There’s been a shift toward business, and away from technology, which was seen as critical at the meeting. Bob recalls Kent Beck saying at Snowbird that his motive behind extreme programming, or XP, “was to heal the divide between programming, or technology, and the business. And that divide has not been healed, at least not by mainstream agile.” The agile community has been taken over by project managers and scrum masters, which means the technology side of Beck’s equation has been abandoned by a large part of the agile movement. Bob finds this deeply disturbing. The technologists have created the software craftsmanship movement to correct the balance, so concepts like pair programming, test-driven development, and functional testing are growing in popularity among development teams, although they still lag behind the project management emphasis that seems to have overwhelmed everyone. The present: Do we need ethical standards? The attendees at the Snowbird meeting were some of the thought leaders of the time and continue to be highly influential. Who else does Bob think we should we be paying attention to today? Rather than name names, he explained that he’s concerned that software development doesn’t have a defined profession and lacks an agreed set of ethical and moral standards. Software touches every part of our lives and has become so embedded in our society that society as we know it simply couldn’t exist without it. The background image on the Agile Manifesto website is a picture, taken by Ward Cunningham, of some of the Snowbird participants around a whiteboard. But the picture has been processed, which makes it impossible to see what’s written on the board. Bob told me that it was the text of the Manifesto, in its final form, or pretty close to it. Last year, he was in Utah and went back to the Lodge at Snowbird. He found the room just the same as it was in 2001. He wrote the full text of the Manifesto on the same board and took a picture of it. He very kindly shared the photo with me so that I could publish it here for us all to enjoy.